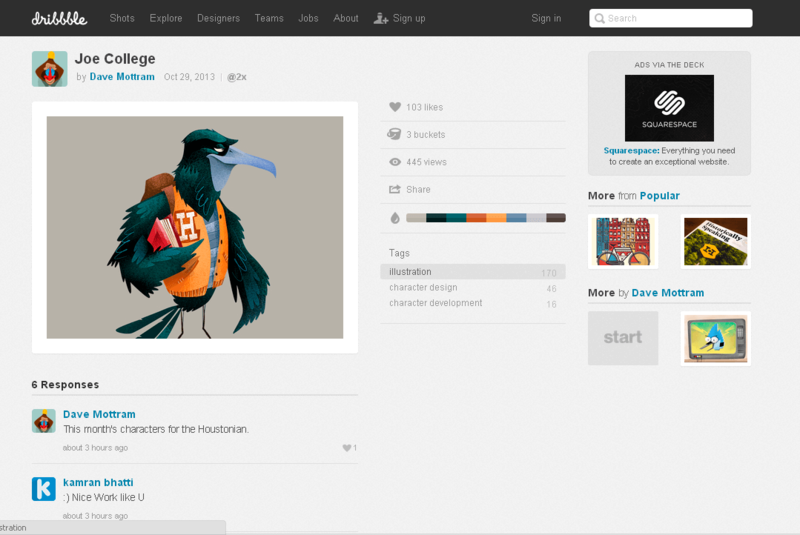 Dribbble.com / Drible – is one of the best social networks for designers, a sort of elite blog for digital- artists. To be a full member of this society, you need an invite to get there, but it is not easy, that, in fact, causes a high level of value of this resource. So, the level of the presented works there is too high, which explains the presence on the site of famous and influential artists and designers. The site enabled the rating system, statistics, voting for the comments and works – all the things that can make you very famous and go up one level with many famous designers. 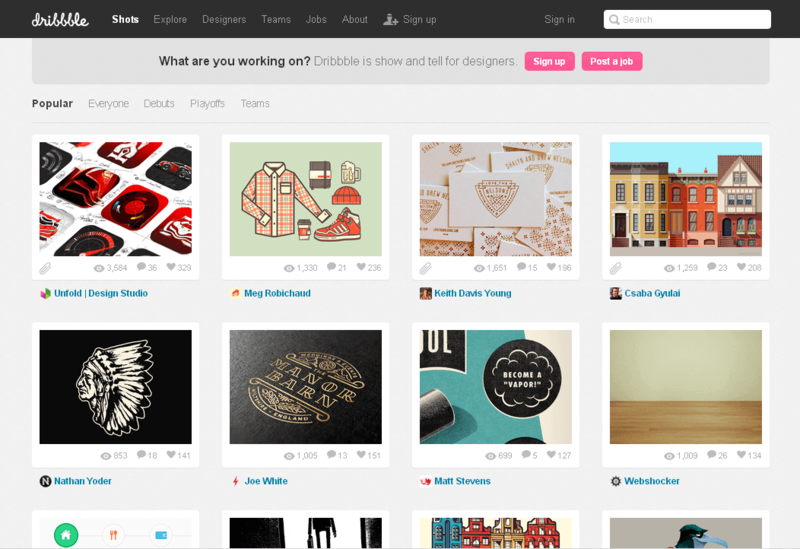 If all these “great” are not important for you, then Dribbbl is a great place to find inspiration. There you will find thousands of icon choices, illustrations, interfaces, and other works. But be careful. It is not always clear for what purpose and theme was designed this or that work. Meaningless copying may lead to the fact that you’ll have a hodgepodge, perhaps because of the beautiful, but unsuitable for each other elements. Therefore, the key point of this resource is the possibility of fruitful dialogue with registered users. this makes it possible to obtain quickly the detailed answers from the most famous masters of design business. An invite to Drible allows you to get full access to all the functions of the site, including the ability to copy and communicate with other users. And if you had already had an account previously, which was registered as read-only, we can update it to a full level with the invite. Hi, This article is good. You have mentioned all the things in a well mannered way which is good. (http://www.hifreelancer.com).